Nicaragua is called "the land of volcanoes and lakes" for its many freshwater lakes, and beautiful crater lakes, and even more volcanoes. Nicaragua has a tropical climate, but there are many micro climates. Partly because of this, there is a large biodiversity. The landscape is rich in various kinds of volcanoes, lakes, beautiful tropical forests and pristine beaches. Nicaragua has two main seasons. The dry season, (November - May) is a pleasant season because there is often a breeze and obviously no rain. The rainy season (May-October) is also a fantastic season; it is beautifully green. Generally it only rains after 16.00h. The showers are often very impressive, and usually go hand in hand with great thunder and lightning. For clothing you should keep in mind that the weather is always hot. Thin cotton clothing and linen is therefore advisable. We suggest shorts/skirts and flip-flops/sandals. For dusk and evenings, thin clothing that covers the arms and legs is best. During work time (for example while volunteering or doing your internship) it is recommended to dress decently. For men, this means a shirt with short sleeves or polo shirt with thin trousers or shorts. The ladies can wear skirts, dresses or trousers knee-length and longer. Blouses and (sleeveless) shirts should not be deeply cut. Nicaragua is the second poorest country of the Western Hemisphere (source UK government) and one of the safest countries in Central America (safer than Guatemala, Panama and Mexico). The main language is Spanish and it is a developing country. Nicaraguans in general are cheerful, nice people with a lot of patience and are very open to contact with foreigners. Within Central America, Nicaraguans are known to be good workers, compared to Europe; however, the working mentality is often non-efficient and illogical. Only a very low percentage of the locals speak English, therefore it is important that you learn to speak Spanish if you want to come and do your internship or volunteer work in Nicaragua. There are many adventurous outdoor sports possible, such as surfing on the Pacific, kayaking in Lake Nicaragua, sand boarding down a volcano, hiking through a cloud forest or on a volcano, and scuba diving in tropical reefs. You will find culture, especially in the larger cities like Granada, Leon and Masaya. Nicaragua has a rich culture, a turbulent history and beautiful colonial houses and churches. Of course the main reason you are coming is your internship, spanish classes and/or volunteering, but it is also nice to know that you can do plenty of things in your spare time. 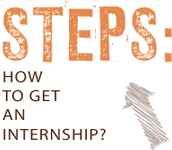 Look for more information on what Nicaragua has to offer in a travel guide or browse through vianica. On-Stage Nicaragua takes into account the travel advice of the Ministry of Foreign Affairs. Surface area: Nicaragua is 2.5 times bigger than the Netherlands. Of its surface area, 7% consists of water and there is 910 km of coastline. Language: Spanish and on the Atlantic coast English and Miskito min. Visa:Upon arrival in Nicaragua it you will receive a tourist visa for 90 days. This can be extended with another 90 days. There are important ticket restrictions for stays over 90 days. On-Stage can provide necessary information on this. Insurance: Beware! A regular travel insurance is often does not cover longer stays or your liability for during internship/ volunteer activities. Make sure you are adequately insured during your entire stay and during your internship/ work. In collaboration with Joho, On-Stage offers good insurance. 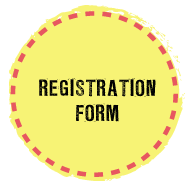 You can get more useful tips and information from On-Stage after registration on the website. 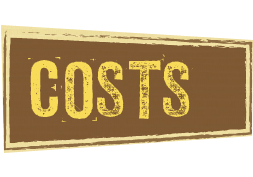 Other costs: As you can see you can get around with relatively little money. A weekend trip is often possible for about €40. But it is also very easy to spend a lot of money. How much money you spend really depends on your lifestyle and on how you spend your spare time. On-Stage recommends that you to consult a travel guide such as Lonely Planet or Footprint to get more information on cost of living, prices and tourism. If you are looking for an educational adventure, during and after work hours, then Nicaragua is the right place for you. There are many possibilities in different business areas. For things to do in your spare time you don't have to worry at all! There are lots to do while you explore this wonderful, non-touristic country and enjoy the beauty that it offers. And on the days you don’t feel like exploring, you just stay in your hammock and enjoy the weather with the local rum, a fresh fruit juice or a local beer. Nicaragua is a developing country, and has a great shortage of knowledge and knowhow. That means there are many challenging internship opportunities in many fields of work. Often there is simply no one else who can do this work because of lack of knowledge or lack of money to hire an expert. Your co-workers expect you to be a useful contributor. Even though you're only a student, your co-workers will often see you as a professional. Your colleagues/ patients/ clients have expectations of you. It is expected that you know what you're doing, so if you somehow are not sure about something, then you have to communicate this clearly. The internship company expects you to be able to work quite independently. Many European students think they can do this, but in reality this is often a challenge. This is also one of the most valuable lessons. Whatever career you are looking for, being able to work independently is always a plus. On-Stage helps you with this by making clear to the company what your demands and wishes are for the internship. Where possible and necessary, On-Stage helps you find a specific internship assignment/central question before starting your internship. In general, the internship company where you will work gives you an orientation of one or two weeks. Based on the newly acquired information and the internship guide from your university, you make a work plan for your internship or update it. You discuss this with your local supervisor, who then gives feedback. In general, people will be very willing to help you, but you must make clear to them what you need from them. An example: Do you want a weekly evaluation with your supervisor? Then this will be possible, but you must indicate that yourself and remind your internship supervisor again a day ahead. In Nicaragua, appointments are often seen as indications, not as something strict. Therefore don’t think the worst of it when people are not living up to their appointments, but try again maybe in another way. If you really can’t manage to get what you need from your internship, then you can contact On-Stage and we will help you. Your colleagues and work environment will be 100% Nicaraguan. Surprises, disappointments and frustrations are inevitable: you cannot change your surroundings. You will therefore have to learn to integrate. You have to adjust to your new and strange surroundings. You will also learn that what is obvious for you may not be obvious for someone else. You may become aware that you need improvement in many areas, which gives you the chance to become competent in those areas. Nicaragua is a very poor country: 48% of the population lives below the poverty line. Poverty is often accompanied by misery. The largest part of the population is unemployed and has no spending money. So also for entertainment there is no money available. Many children (and adults) are almost bored to death because they do not have anything to entertain themselves with. Their future is often quite hopeless. If you are having your internship in the area of education, care, tourism, or technique, then your presence can really make a difference. Many people are so ignorant or unaware so you may be able to teach them important things. Just by being present and by showing the behaviour and habits that you think are normal, you are already having a cultural exchange. You can teach and show that things can be different (not necessarily better, by the way) and change can be made. Because On-Stage works in a socially responsible way, each work /volunteer placement can give a (small) contribution to a better future, sometimes in a direct way, sometimes in an indirect way. Your stay in Nicaragua by itself will already mean much-needed financial assistance for the local people providing your housing, meals and so on. With your internship in Nicaragua, you are broadening your horizons. You will learn another language (Spanish) and will get to know another way of life. It also shows you your (unconscious) prejudices and makes you correct them. Because of this you will become employable for a wider range of jobs and it will make you a stronger person. You will get to know yourself better through such an experience. You will realize what your strengths and weaknesses are and you learn to deal with them. You will get hands-on experience in your study topic which will give more content to your degree. There are dreamers and there are go-getters. All go-getters start of as dreamers. If you feel attracted to the possibility of an internship in Nicaragua, but you can’t imagine yourself hopping on the airplane yet, then you should realize this is very normal. On-Stage has already received many students, and very often they were very nervous before departure. Many people, led by their fears, don’t even take the opportunity to go abroad. That is very unfortunate because experience has shown us that almost all students feel at ease in Nicaragua in a few days and are often surprised by how much they like it. You will learn where your limits are and how to overcome them. Your Spanish will improve, you will learn how to apply your knowledge and you will become more independent. Apart from countless unique moments and thrilling experiences, you will get a tremendous sense of freedom. You will realize there are many ways to live your life. Please blogs and vlogs look for the reports on Nicaragua. Are you(planning) to travel through Latin America? Do you need to learn some Spanish? Are you going to volunteer or have internship or in a Spanish speaking country? Or would you just simply like to learn Spanish? On-Stage Latin America provides varied, intensive, and personalized quality courses in Latin America. 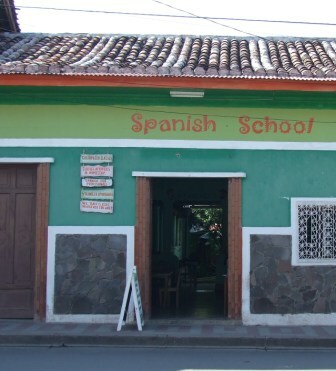 The colonial town of Granada, Nicaragua is ideal for taking a Spanish course. Nicaragua has a lot to offer in terms of both nature and culture and Granada has a very good base top start discovering the charms Nicaragua has to offer. Tourism in Nicaragua is still in its infancy and it is also economically underdeveloped. This life here is very different than in Europe, you can learn a lot of the way of living in Nicaragua. If you want to travel on a shoestring budget, then you're at the right place in Nicaragua. Because not only the Spanish courses but also accommodation, living costs and transport are also very affordable. Our language school is located in the centre of the beautiful colonial town of Granada and within walking distance of the housing opportunities that On-Stage offers you. The school has an in-house cybercafé which you, as a student of On-Stage, can use for free. 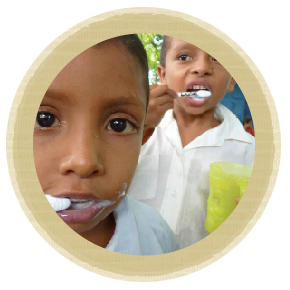 The lessons are being taught by highly experienced certified Nicaraguan teachers who love their work. While selecting the Spanish school On-Stage has looked well into the working conditions of teachers. The teachers of this school get a fair salary and nice secondary benefits. That makes a huge difference with most language schools in Nicaragua, where one big boss is the money and where the teachers are being exploited. On-Stage has been closely involved in the making of the lesson packages, therefore and because of the dedicated director and teachers, the teaching materials are of good quality. Due to the fact that we place only one or two students per teacher it is possible to have a tailor-made course. IN case there is no second student available with more or less the same Spanish level and theme of interest, you get private lessons for the same price. For all levels, from the absolute beginner to the advanced speaker, a Spanish course through On-Stage is enjoyable and worthwhile. Each student gets his own grammar book and can choose between different educational themes. Examples of this themes are: tourism, dentistry, education, physiotherapy, business, healthcare, et cetera. The lessons take place from Monday to Friday. One half of the day you have private lessons at the school. Additional to this you have four ‘activities’ a week. You spend about 4 hours per day to grammatical lessons and exercises, sometimes these are takiong place outside the school building. During the half day of lessons there are also small breaks and/or mini activity to keep up the concentration level. Included in the course week are activities to motivate your speaking skills and merge you in the Nicaraguan culture. During the activities you and the other participants go on a excursion under supervision of one or several teachers. 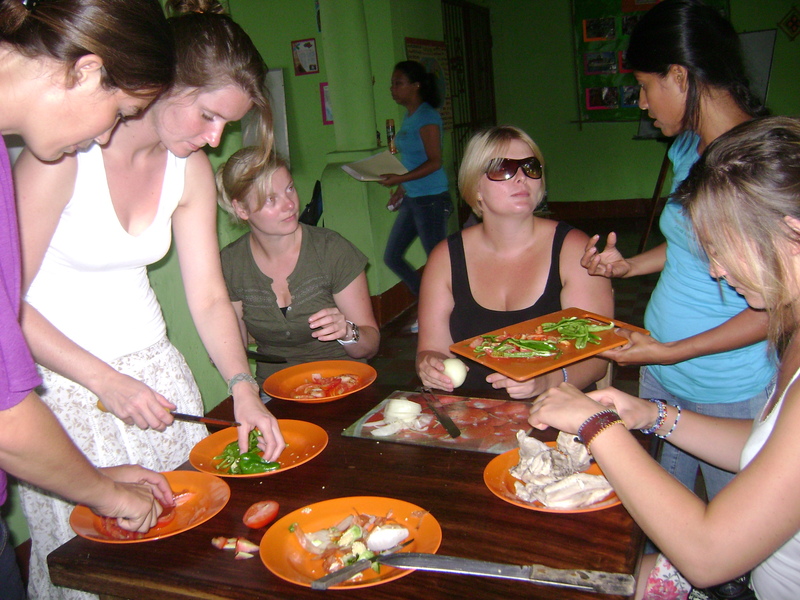 There are all kinds of fun activities and excursions where you can practice your newly obtained Spanish skills. For example: a city tour, visiting a traditional shoe factory, learning the basics of local pottery production, Nicaraguan cooking classes or a visit to a beautiful nature area. If staying with a host family than can have lunch over there. If not staying with a host family you can choose where and what you eat. Regularly there are also a number of optional activities (outside the standard offer) which you can use for a small amount. After Chinese and English, Spanish is the most spoken language in the world, and the number of Spanish speaking is expected to continue to rise. Spanish becomes increasingly important in the world of business. As an example, Spanish is the official language at the United Nations. Mastering the Spanish language or its principles are an asset for many Curriculum Vitae. Except for being useful, learning Spanish can also be very enjoyable. While creating the courses, On-Stage has on quick improvement of your speaking skills and the merging in the daily life of your country of destination. Do you feel like doing something different? Do you like to get to know another way of living? Or do want to travel, but don’t feel like doing this alone? Then volunteering in Nicaragua might be the thing for you! 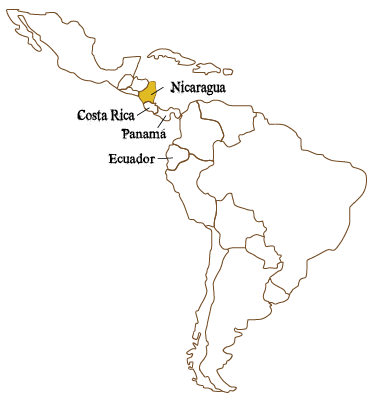 Nicaragua is the second poorest country in the Western hemisphere and Spanish is the official language. As almost no Nicaraguan speaks English, it is an excellent country to volunteer and learn Spanish. The Nicaraguans are very open to foreigners and enjoy helping you out with Spanish; many will proudly show and tell you about their country. The people are really nice, tremendously hospitable, and patient. But if you are one of those persons that think they can change the world with a few weeks volunteering, then you're too naive for On-Stage. The volunteering will most certainly make an important change in your life. On-Stage offers you possibilities to volunteer in projects that work on human-aid or nature preservation. Do you want to attempt to learn and make this world a tiny bit better? Then you are more than welcome at On-Stage. On-stage Nicaragua organises your volunteering, housing, Spanish classes, airport service and is there for you in case of an emergency. The duration of volunteering can vary from 2 weeks to a year. Most volunteer possibilities are in and around the beautiful colonial town Granada. Aside from being a charming home base, it is also a great hub for exploring other parts of Nicaragua in your weekends. On-stage Nicaragua offers different possibilities in terms of volunteering. You can choose from one of the social projects, but also for nature projects. "A man with principles will never be rich." On-Stage Nicaragua offers two types of housing; you can with a host family or stay at private room in a guesthouse. As each host family and guesthouse is unique, their terms differ a bit, in general they all offer the same comfort and facilities. Stay in a host family. By staying in host family your Spanish skills will improve more rapidly and because you will get a lot more practice. And practice makes perfect! 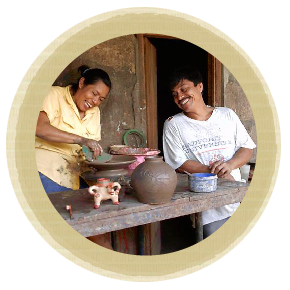 You learn more about the Nicaraguan way of living, which will make your integration easier. In general hostfamilies don't offer internetservice, in case they do have internet you can use this for an additional payment. You can use the internet for free at the Spanish school, in most bars and restaurants and at most volunteer- and internship organisations.You will get to know the local cuisine as from Sunday evening till Saturday morning the meals are included. Most of the meals will be shared with one or more family members. So this is the way to quickly improve your Spanish. You will have a private room and at most families you can stay with two or three persons at the same time. f you eat vegetarian, have allergies, or other dietary needs, then this will be taken into account. A stay with a host family has its advantages, but a stay in a guesthouse has other advantages. What suits you best depends on your wishes and character. On-stage offers private rooms in several towns in Nicaragua. Most of the time there is a possibility to stay in a private room near your language school/internship place/volunteer project. Often multiple students live in the guesthouses at the same time. All these rooms meet Western basic conditions; they have access to a kitchen, wireless internet and proper sanitations. In case you are looking for housing options as a couple, or if you want more luxury, then this is often possible with a higher rent. Why arrange your housing through On-Stage? On-stage spend a lot of effort in expanding and maintaining its network of housing possibilities. All housing options offered are checked personally by On-Stage. It is being checked on safety, hygiene, comfort and location. By having On-Stage arrange your housing, a lot of hassle is taken away from you. 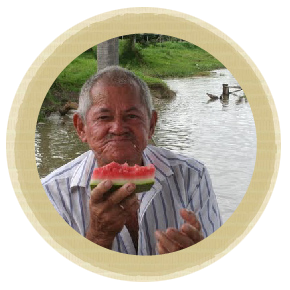 Before arriving in Nicaragua you get a document with information and photos about your guesthouse/ host family. On-Stage is a constant factor for the house owners, and know the language and culture. Therefore most potential problems are nipped in the bud. And in case something does go wrong then On-Stage mediates and helps finding a solution. On-Stage provides reasonable and reliable payments to the house owners. By taking away this financial side of your stay between you and your host family/guesthouse you will have a more equal and friendly relationship with them. The homeowner itself has many advantages by working with On-Stage. They get a reasonable price and reliable payments. Because of constant hosting to clients of On-Stage, they can rely on the rental revenue as a fixed part of their income. They can use it for improving their quality of life. That is much more constructive that just getting a ‘extra’ every ones in a while. The housing service is included for interns and volunteers. For people only coming for a Spanish course the housing is optional. The housing-service is not available as a service by itself.